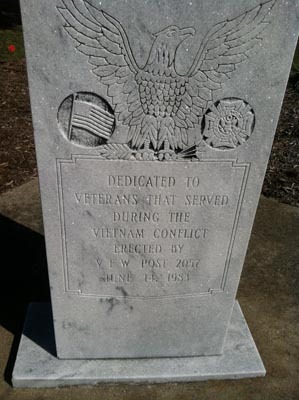 Description: This marker, honoring Vietnam War veterans from Nash County, is composed of a central low marble stele accompanied by a stone bench on each side of the site. The marker is engraved with commemorative text and the image of the American eagle. The eagle is flanked on the left by a small bas-relief engraving of the American Flag and on the right by a bas-relief engraving of the insignia of the Veterans of Foreign Wars. 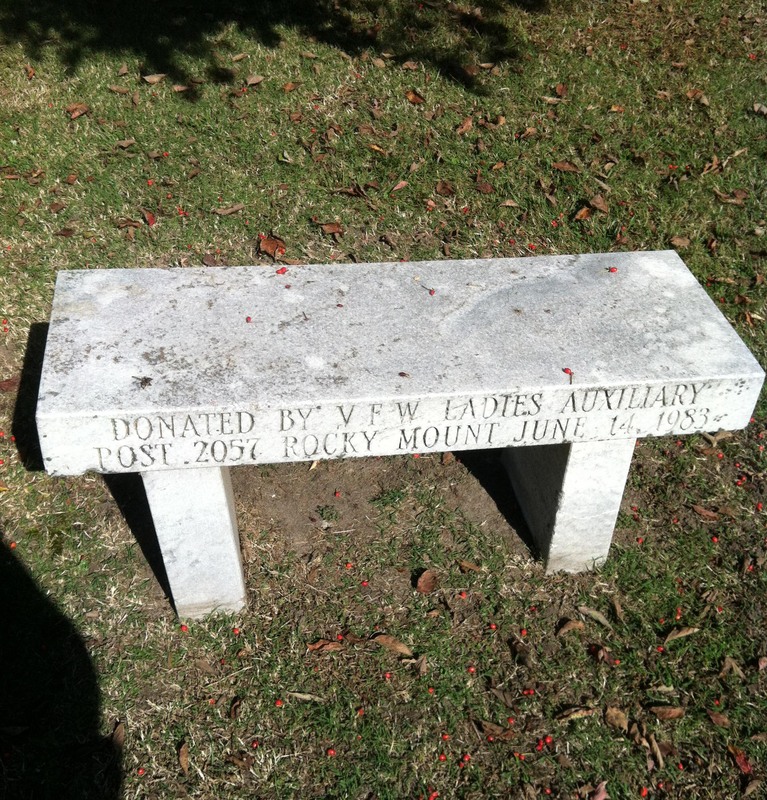 The benches are engraved on the front face of the seat with an inscription acknowledging their sponsor. Location: The memorial sits in a grass-covered median at the intersection of Beal Street, Bryant Street, and Sunset Avenue across from City Lake. The inscribed face of the marker faces roughly southeast. Landscape: The marker sits in a small park-like area, in the center of a small circular garden with four short paved paths leading to it. The benches are located to the right and left just outside the circular area. Shade trees surround the site.